Keeping track of what we ate, and what we thought of it. Modifications: Always use an entire onion, and we add a pack of chicken thighs as it’s cooking. This particular version is more like a stew and isn’t very brothy – if you prefer your soup thinner, add 2 cups more water or broth. Servings: This serves us for dinner twice. 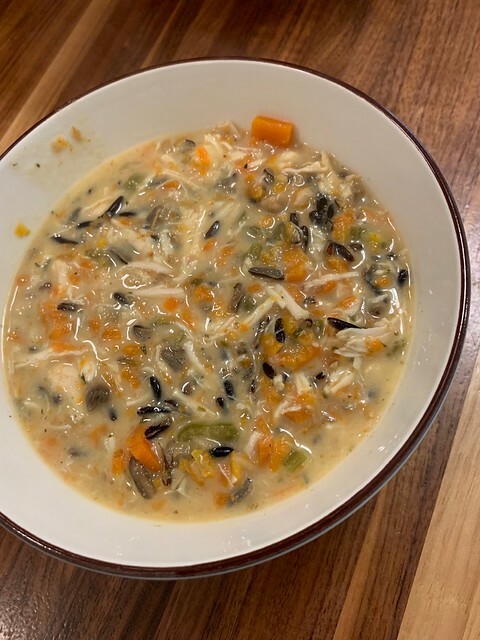 Notes: We have another version of wild rice soup on the blog, but this one is MUCH easier, and we’ve made this version since the moment this one was posted. I also have made this on the stovetop when I’m making a huge batch, and as long as you let simmer about an hour it works really well. I still just add the roux at the end. 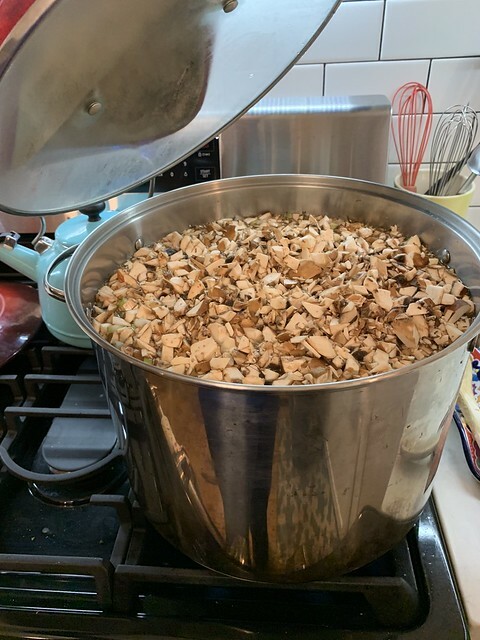 I have made up to a 4x batch in a 4 gallon stockpot and it just barely fit. This soup is SO, so, so good. It freezes well, reheats well, and everyone loves it. Probably our most commonly made meal! This entry was posted in carrot, celery, chicken, mushrooms, wild rice. Bookmark the permalink. Thanks for posting this. I made it last night. It came together quickly and I’m happy to have it for our polar vortex week. Mine came out so much thicker than yours. Next time I’ll do half the amount of bechamel (roux).